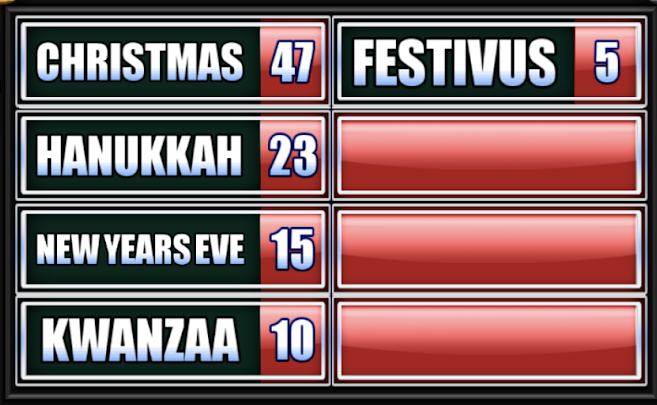 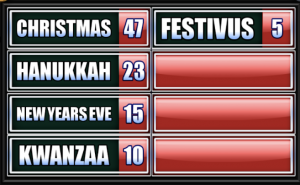 Name Something People Celebrate In December. 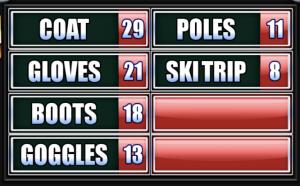 Besides Skis, Name A Gift An Avid Skier Might Enjoy. 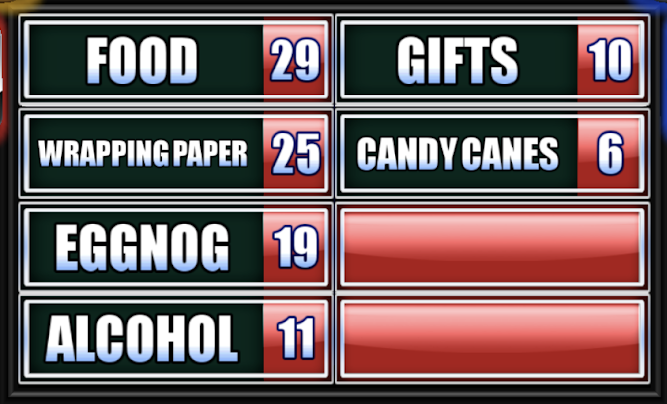 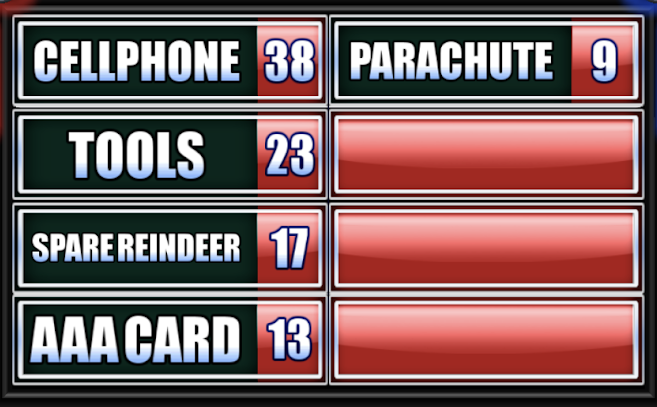 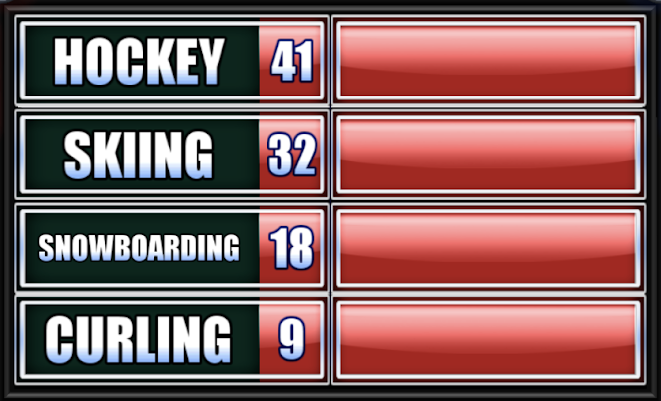 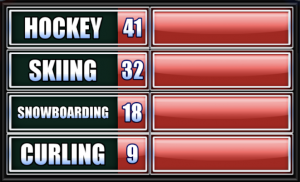 Name Something Santa Might Keep With Him In Case His Sleigh Breaks Down. 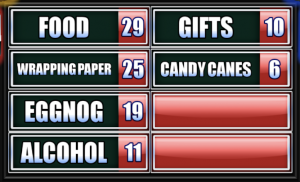 Name Something People Stock Up On Around Christmas. 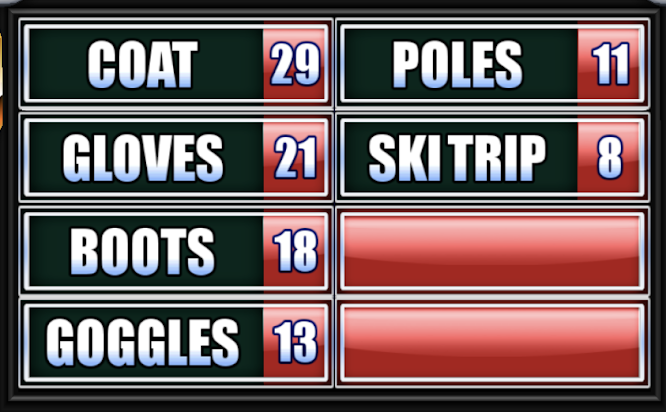 Name A Sport That Is Played On Ice Or Snow.